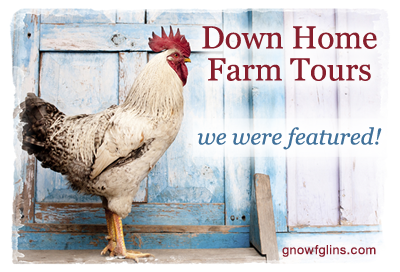 Wardee featured our home garden at her wonderful Dawn Home Farm Tour, we felt very honored! Check it out and make sure to look around at her wonderful website. 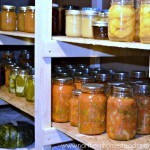 Wardee is also the author of The Complete Idiot’s Guide to Fermenting Foods . 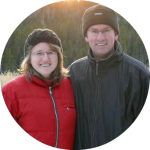 We shared about our rented house with a small backyard of about 2000 square feet. 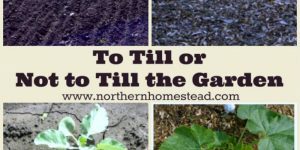 Our cold climate and the short growing season with only about 100 frost free days in a row. 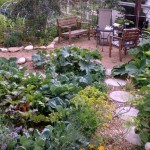 We are growing most winter vegetables like cabbage and spinach, and root crops. 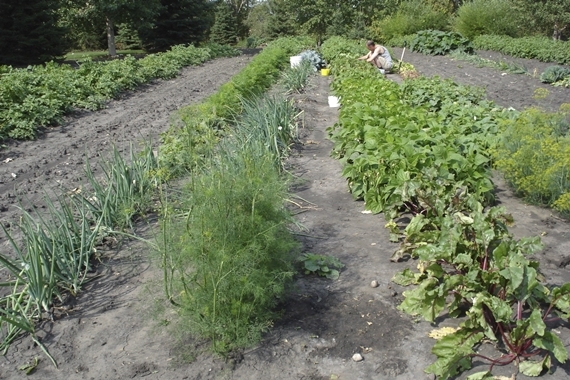 We also grow summer crops that do not need long to ripen. 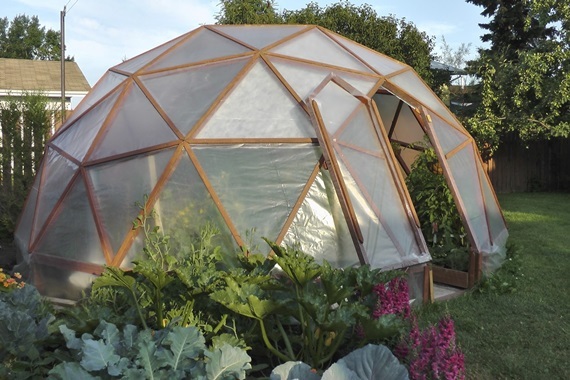 The highlight of our garden is the geodome greenhouse. Lots and lots of tomatoes ready to go into ground. No wounder the greenhouse was starting to be a jungle. We also shared about our joy of harvesting those summer bounties! 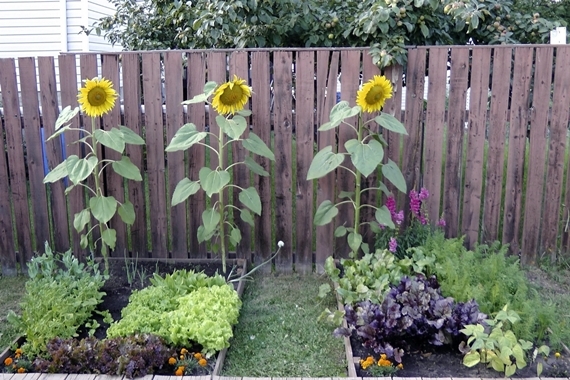 Square-foot gardening, a great method for little and rented space. Our home garden was not just at home, also at a friends farm. 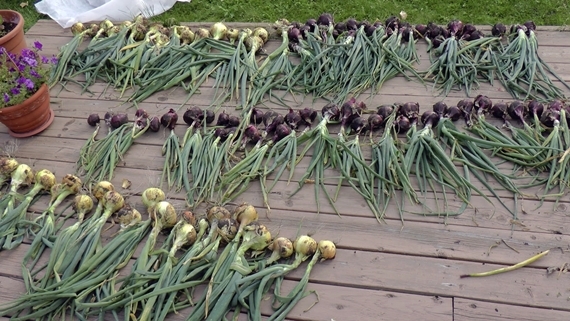 The harvest onions that we store in 3 great ways. 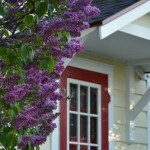 Thank you Wardee for featuring our Home Garden. Love this, what great pictures! 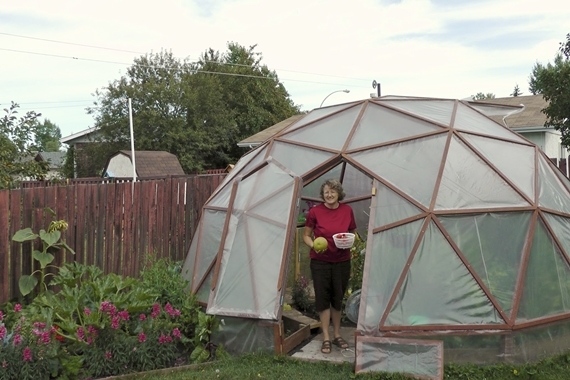 I am fascinated by the geodome green house you have and am going to do some research on it. How early (in what month) can you transplant your tomatoes from your home into the green house? Thank you Dawn! We are actually working on an how to instruction for the GeoDome. 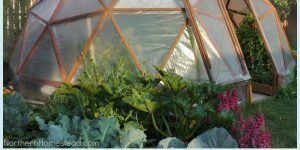 An unheated greenhouse covered with plastic gives you about 4 degrees more or less, depending on the thickness of the plastic. 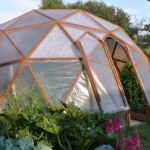 A frost blanket used in a greenhouse would double the protection. I started some peas and radishes in mid March in a greenhouse with two layers of frost blankets. However, with the the tomatoes I waited till mid May, since tomatoes do not tolerate any frost and our weather is very unpredictable. Hope that helps. It does! Thank you, Anna 🙂 I will keep an eye out for your how-to instructions for the GeoDome! 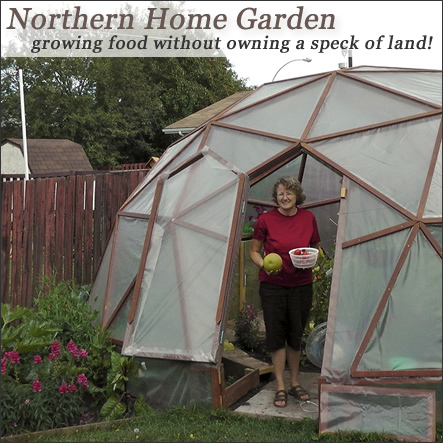 Not sure if you have seen it yet, but the how to instruction eBook for the GeoDome is online! 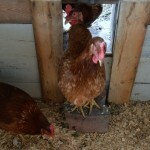 I just found your site via Markerville Berry Farms and I am looking forward to digging around! And just to let you know, the link to the greenhouse isn’t working. I am looking forward to seeing your instructions as this is a project that hubby and I are hoping to tackle. It looks great! Thank you for stopping by. Yes, we love our greenhouse. 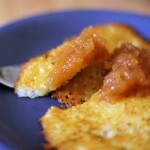 For the How-to try Scribd direct. Hope this helps. What an amazing greenhouse! 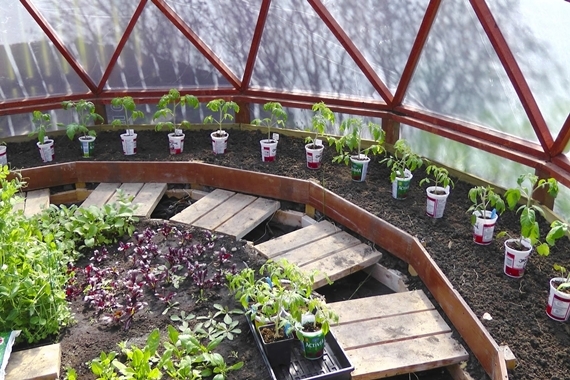 We are trying to figure out a greenhouse set up at the moment that can withstand copious amounts of snow. We are also renting, but thankfully on 3 acres with a creek. Aww thank you for following! 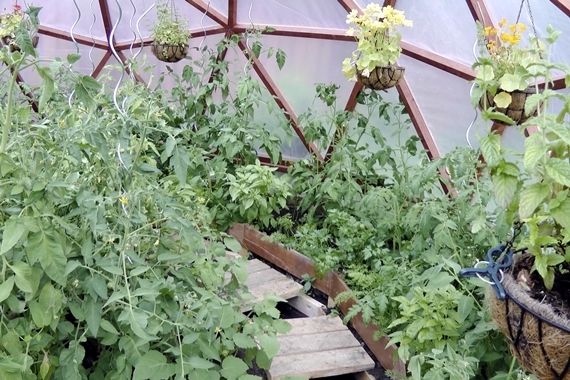 The Geo dome greenhouse is great in wind in snow. We love it that we do not have to worry about shoveling snow off the greenhouse in a blizzard. 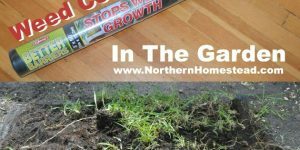 Growing here is challenging, and we have big temperature changes too, mostly though day and night changes, like 28C at day time and only 8C at night. But plants seem to like that, so we usually harvest abundantly.